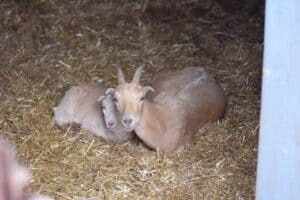 When we first started with goats, we only had a handful and feeding them was a breeze. But before long, and as our herd grew, we realized that they were making a huge mess and wasting feed & hay. 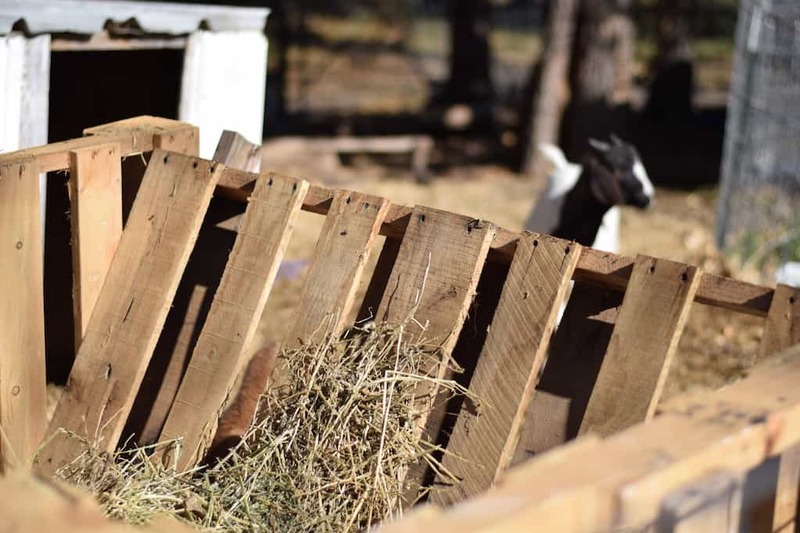 My ever so crafty, handy man of a husband planned a simple solution, he came up with plans on how to build a goat feeder. 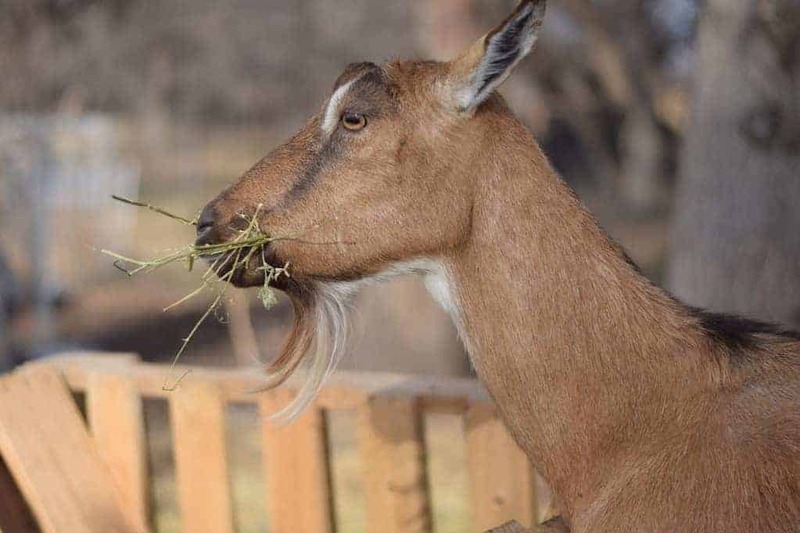 Goats are picky and maybe a bit spoiled, they usually won’t eat feed off the ground. And once it lands on the ground, it becomes a target for their potty breaks. Then they definitely won’t eat that…I don’t blame them really! Is that tmi? Sorry, but its true! 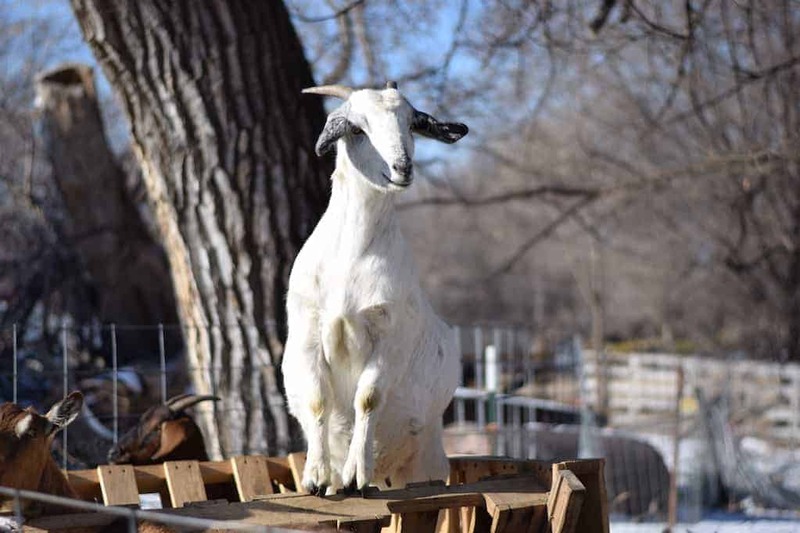 And sometimes they climb on top of other goats to get inside the feeder. Little stinkers! 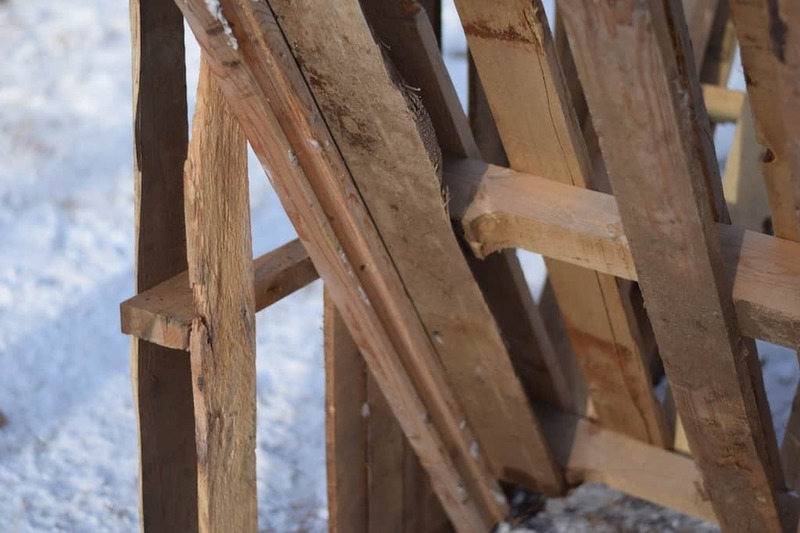 How to Build a Goat Feeder, Simply! 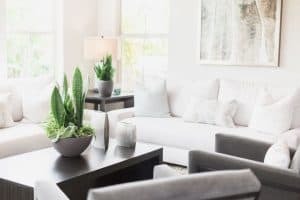 This DIY project is very easy and frugal. We made two feeders to accommodate our herd and only used 4 pallets for each feeder, plus some scrap pieces of an extra pallet. We also used pieces of a water line board, approximately 4 feet long for reinforcement. 4 pieces of water line board, approximately 4 feet long. 4 foot pieces of 2×4 will also work. An awesome drill. This is the one we always recommend. 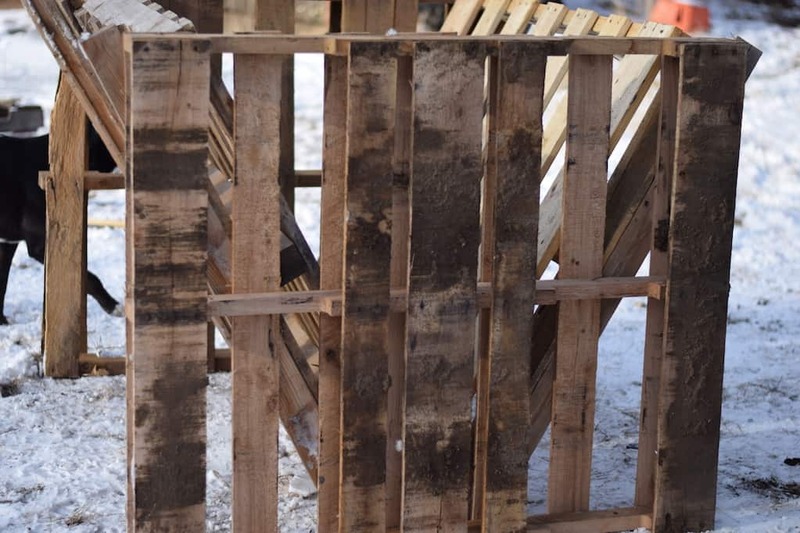 Start by taking two pallets and remove boards from the side that already has less (usually about 3 boards). 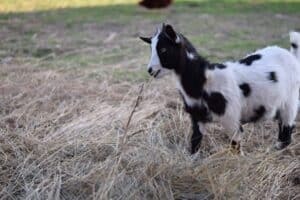 This makes it easier for the goats to eat out of the feeder when you’re done. 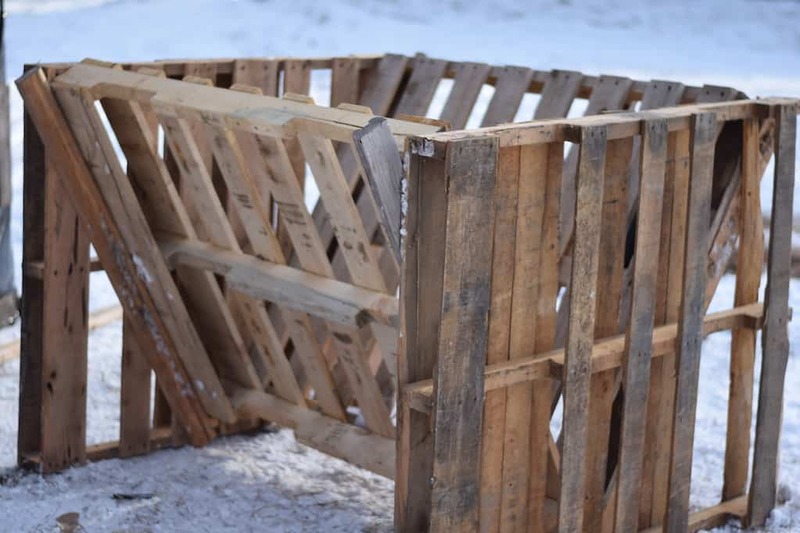 Next, hold two of the pallets together in an upside down “V”. This may take two people. While one person is holding it, take one pallet as a side and use the 1 inch screws to hold in place. Repeat on the other side until you have two “walls” and a “V” in the middle once its turned right side up. And here’s a view of the inside of the goat feeder. 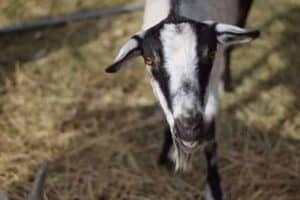 This project is very easy to put together and will save you money on your feed and hay bill! Plus its extremely frugal. 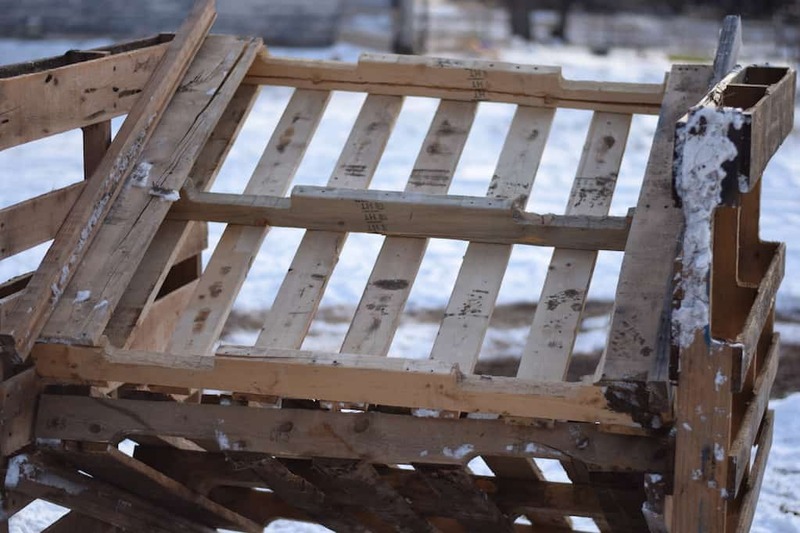 You can find extra pallets for free just about anywhere these days. And the goats will love using it!